How are you all? I was a bit unwell this weekend and the half month of May I was travelling. So the result, few blog posts ☹️☹️☹️. Also I have started selling some small range of handmade cleansers and face packs, so that is also getting a lot of my time. Anyhow, without much time let's head to the review. 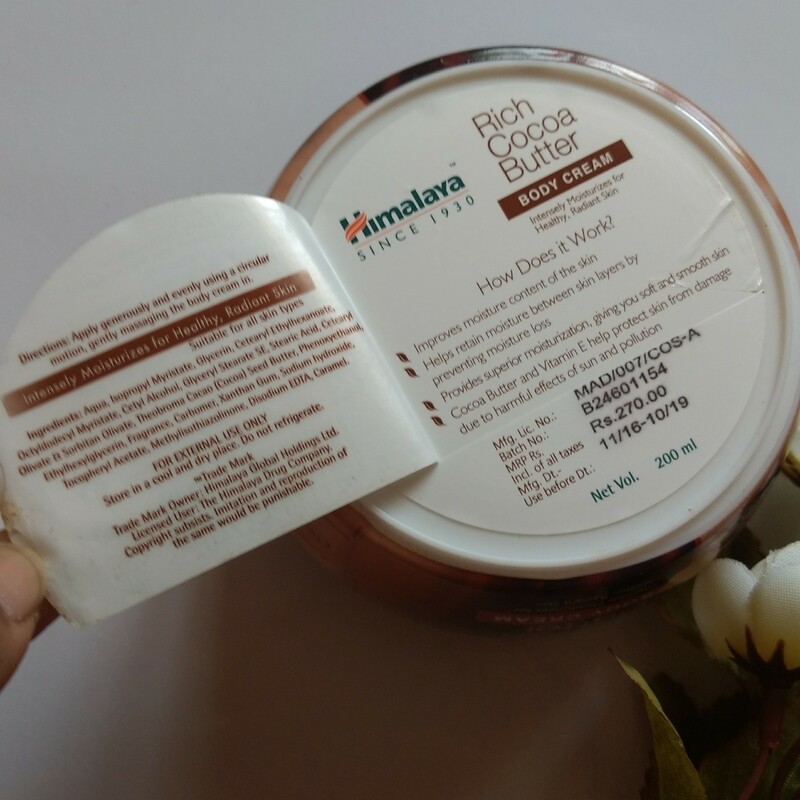 The product was earlier just available on Himalaya Herbals website and no where else. So I waited for it to launch in the stores and I immediately grabbed when I spotted it at a mall. The product is housed in a bulky jar which is kind of absolutely non travel friendly (I still carried it during travelling). The jar is plastic with a screw top cap and has an inner lid to prevent product spillage while opening the product. The jar in itself is not bulky, but the product quantity is! A whooping 200 ml pack! The product has a refreshing aroma of chocolate with a sweet smell of caramel. It indeed smells like a caramel candy like Alpenlibe. 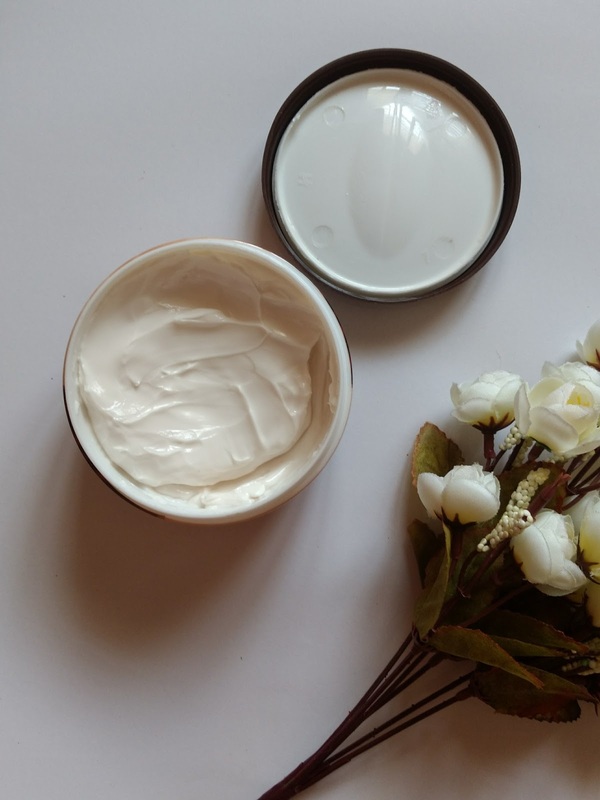 The cream is true to it's name and is creamy in nature and consistency. It's a little thinner than a body butter and a little thicker than a normal moisturiser. I love the consistency, it spreads easily and gets absorbed fast into the skin. I like to use the body cream before hitting the bed. I slather it all over my hands, legs and feet, sometimes even on my heels 😁😁. The moisturization it offers lasts me around 10-12 hours. I don't reapply the cream after bathing in the morning. I hardly get any time to do so. 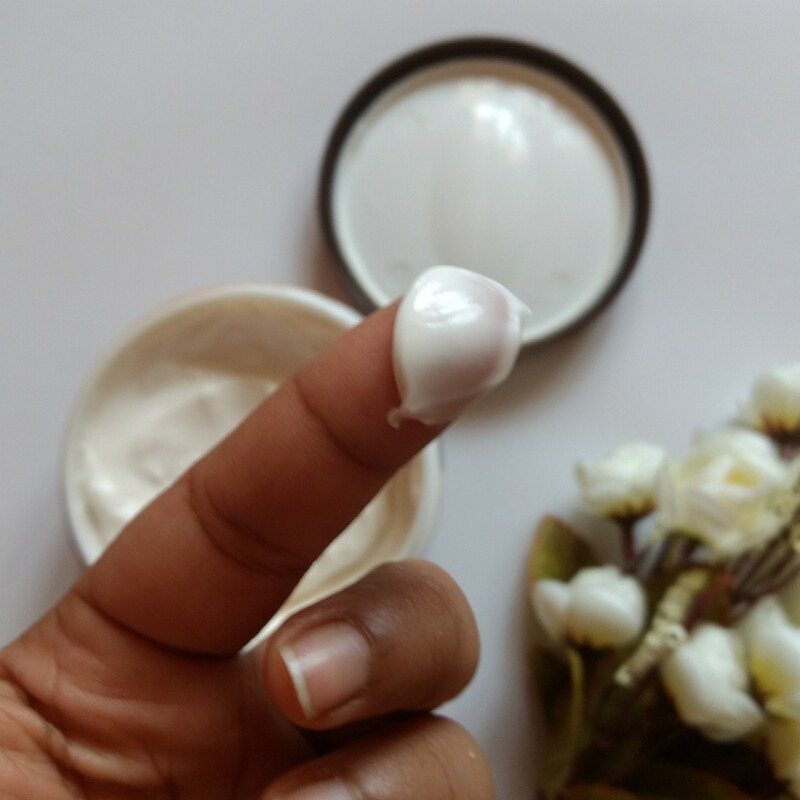 The cream makes the skin soft and smooth making it look nourished. Apart from that, I like the fact that it is extremely non sticky, non oily. You don't even feel like you have applied a cream. It does moisturise, but without any hint. So far I am totally loving this body cream instead of my body lotion. I also love the fact that it doubles up as a foot cream also for me. I would recommend you all to give it a try once. Price, Shelf life and Availability - 270 INR for 200 ml with a shelf life of 3 years. Easily available online as well as in stores. 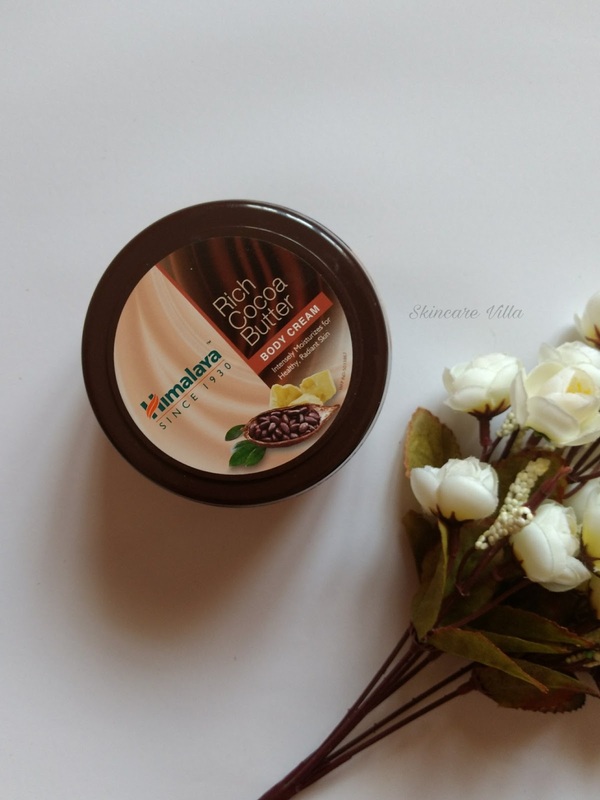 I would recommend you all to give the Himalaya Herbals Rich Cocoa Butter Body Cream a try. Affordable price, easy availability and long lasting moisturization makes it a winner.